Government to regulate “Pooh Sticks” now? If you’ve read Winnie-the-Pooh for yourself or for your kids or grandkids (and if you haven’t why the heck not? 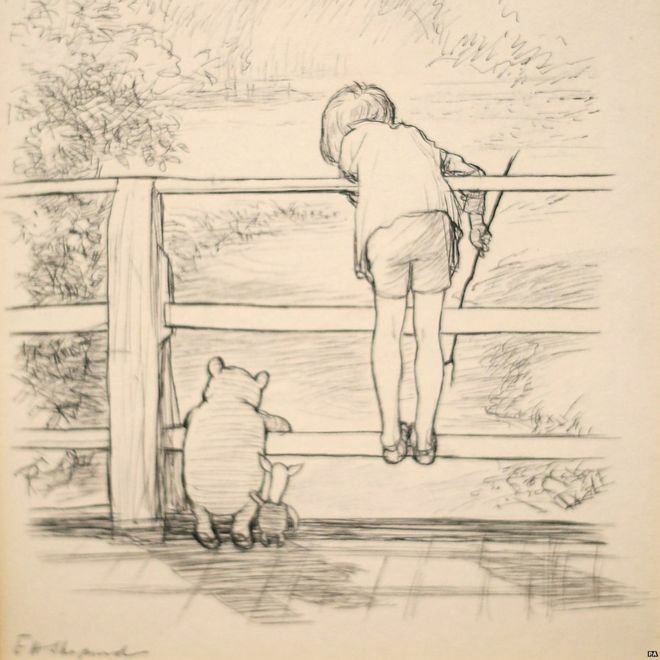 ), you know what the Pooh sticks game is. You stand on one side of the bridge and each player drop a stick. Then you run to the other side of the bridge and see whose stick gets there first. Simple right? While technically good advice, the tweets were not well received. The tweets were quickly remove so you won’t find them anymore because someone at the DCMS had the good sense to realize that the tweets made them look ridiculous, especially after their twitter account got slammed with responses that ranged from those who were outraged at the postings to those ridiculing the DCMS and telling them how petty and stupid the tweets made them look. Maybe the DCMS needs to have someone who proofs before they send out a tweet because co-workers don’t let co-workers post silly tweets. Oh, and by the way, if you want to know how to win every time at Pooh Sticks a British engineer has come up with the winning formula at http://www.bbc.com/news/uk-england-34055084. Someone else with too much time on their hands. This entry was posted in General and tagged DCMS, Department for Culture, Media and Sport, Pooh Sticks, Twitter. Bookmark the permalink.